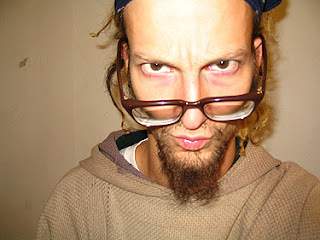 This crazy lookin' guy is Shane Claiborne. Andy and I have literally had our noses knee deep in his book Irrisistable Revolution. He is a modern ordinary radical for Jesus and has a passion that is totally exciting! We highly recommend this book if you are itching for encouragement and conviction to become bold and ready to do what the Lord has intended for you to do since the beginning.